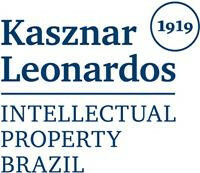 Nancy Satiko Caigawa is a partner and attorney at law at Kasznar Leonardos Intellectual Property. Ms Satiko Caigawa has been a member of the Brazilian Bar Association since 2002 and is a registered industrial property agent. She acts in IP litigation, trademark prosecution, IP consultancy, copyright, unfair competition, technology transfer and franchising matters. 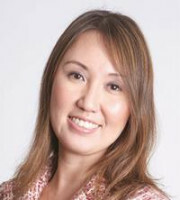 Ms Satiko Caigawa has a degree in law from the prestigious University of Sao Paulo (2001). She undertook post-graduation studies in corporate law at the Pontifical Catholic University of Sao Paulo PUC-SP (2004) and has an MBA in innovation, information and technology from the Fundação Instituto de Administração (2015). Ms Satiko Caigawa is a member of the Brazilian Association of Intellectual Property and the Lawyers’ Association of Sao Paulo. She is one of the directors and a board member at Sao Paulo’s Association of Intellectual Property (2017-2019) and acts as counsel for the Sao Paulo Bar Association’s Fashion Law Committee. Ms Satiko Caigawa’s practice areas include domain names, anti-counterfeiting, technology transfers, franchising and licensing, copyright, advertising, unfair competition, litigation, dispute resolution and digital law. The highlights of Ms Satiko Caigawa’s career have been as a speaker and moderator of various IP courses and conferences in Brazil.